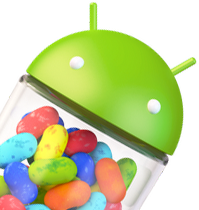 Today, with the official release of the Nexus 4, Nexus 10, and Nexus 7 HSPA+, Google has released the Android 4.2 SDK, "a new and improved Jelly Bean." Along with the SDK release, Google has made available SDK Tools r21, the Android NDK, and of course some helpful API documents. Highlighting some of the benefits of the new SDK (and, by extension, Android 4.2), Google touts "Renderscript computation directly in the GPU" for the Nexus 10, "a first for any mobile computation platform," lock screen widgets, Daydream, incredibly enhanced support for external displays, and optimizations for international users.